Find Genuine Lexus Accessories available from DCH Lexus of Oxnard in Oxnard, CA, serving the Oxnard area. Are you looking to customize your Lexus or upgrade the Lexus accessories you currently have? If so, turn to DCH Lexus of Oxnard to shop our Lexus accessories for sale. From floor mats and cargo management systems to body and paint protection products, our Lexus accessories catalog includes an array of items for your browsing pleasure. Here at our Lexus dealership in Oxnard, CA, we can help you buy the official Lexus accessories you need! Give your ride a boost with Lexus performance accessories. Whether you’re looking for engine accessories, performance suspension/chassis items or another accessory entirely, our Lexus parts team can show you to the correct items. We also offer Lexus towing accessories for those who drive a Lexus SUV and want to hitch up a trailer on weekend road trips, too. And with Lexus F SPORT accessories, you can personalize your athletic and performance-focused ride. You’ll also find a whole host of interior styling, audio entertainment, navigation and security Lexus accessories online including components for the Rear Seat Entertainment system, a Glass Breakage Sensor Security System and hardware kits for illuminated door sills. Tired of belongings being strewn about the backseat of your Lexus? Check out our Lexus cargo management accessories that will keep everything you need in perfect order. Visit our Oxnard Lexus dealership to start shopping for the official Lexus accessories you’re searching for. 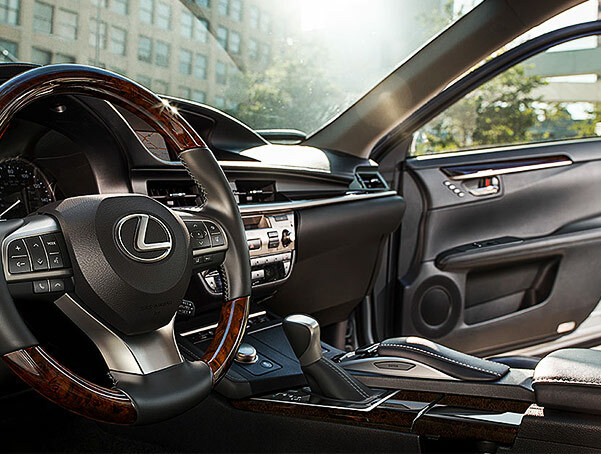 We’ll help you customize, update or personalize your Lexus to ensure it’s exactly what you’ve always dreamed of.